Aimee & David Thurlo’s Ella Clah, a Navajo Police special investigator, is one of the most enduring and popular characters in detective fiction today. Ella’s dedicated fans have long dreamed of the bestselling, critically acclaimed series coming to television…and it almost happened. In 2001, CBS commissioned a pilot script, a sample episode of a proposed series, from writer/producers Lee Goldberg & William Rabkin. 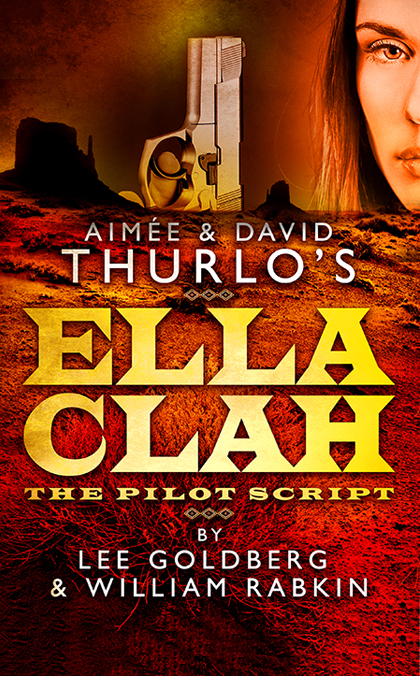 Sadly, the Ella Clah pilot ultimately wasn’t produced, and ever since, the script has been hotly sought-after by fans. Here, at long last, is that rare pilot script, along with the original sales treatment, six episode ideas, a foreword by the Thurlos, and a detailed account from Goldberg & Rabkin about how they approached their adaptation and what their plans were for the TV series. It’s an exciting, must-read story for Ella Clah fans and aspiring TV screenwriters alike and a fascinating peek behind-the-scenes of network television.